Looking to start your own indie music business? Unsure where to begin and how to navigate the business world? Join our group of successful panelists as they discuss the opportunities and challenges faced by entrepreneurs in the ever-changing music industry, as well as key advice on what it takes to follow in their footsteps. 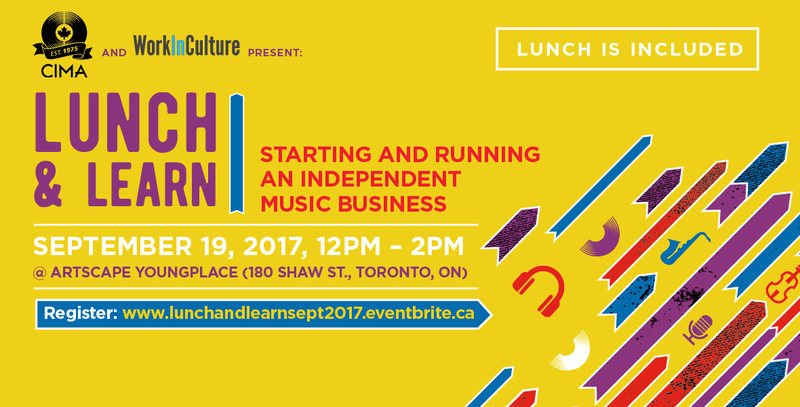 From music management, indie labels, and professional musicians, we’ll cover all perspectives in this casual info session. 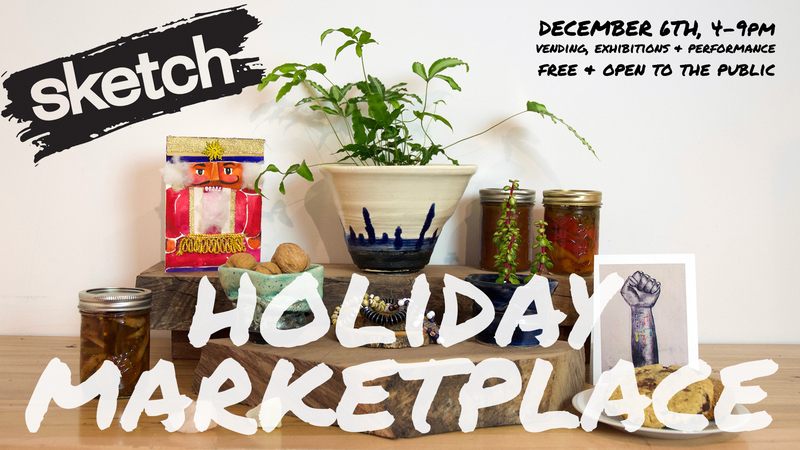 Bonus – lunch is included! Branding positioning is an important part of strategic marketing today and is used successfully by the world’s leading marketers. This workshop uses a proprietary positioning process that leverages your creativity and your understanding of your business or organization to articulate distinctive benefits that will help you discover what differentiates your brand in the marketplace. This workshop will help you understand what makes your company or organization’s brand unique and how to position it to your best customers and potential customers. 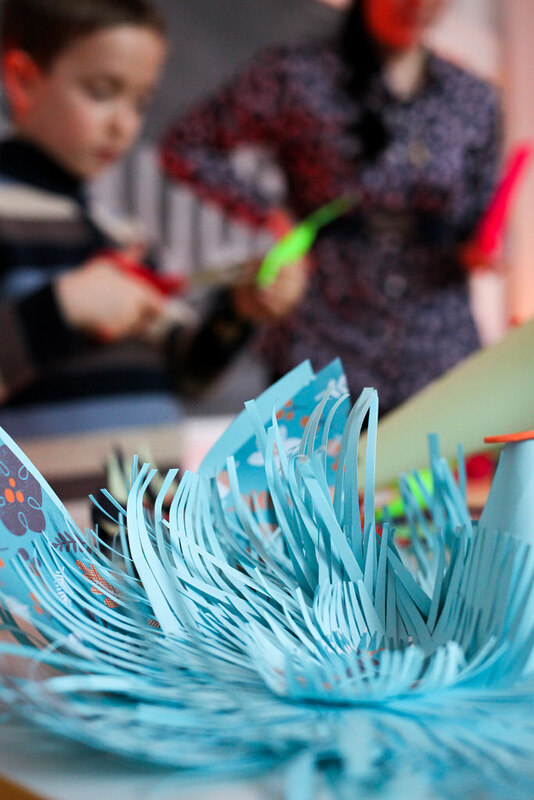 This Interactive Workshop is designed for artists and arts organizations, not-for-profits and for profits in the creative sector. You are encouraged to bring multiple members of your team. 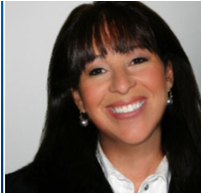 Shelley Black is a marketing and communications consultant, and the head of Shelley M Black + Associates. 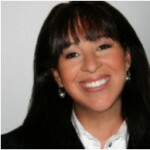 She creates business growth strategies and marketing solutions for multinational clients. 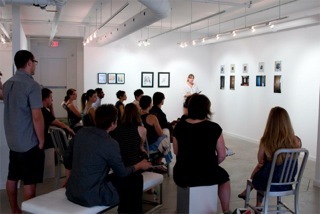 Shelley’s passion is to unlock the creative potential of people and organizations so that they can innovate routinely. Shelley is a hands-on, results-driven expert who works with clients seeking to identify, develop and commercialize opportunities with the highest growth potential for their products, brands and categories. This includes finding better ways to delight existing customers with exceptional customer experience and attract new customers. Co-operatives are businesses or organizations jointly owned and democratically controlled by one or more groups of stakeholders. 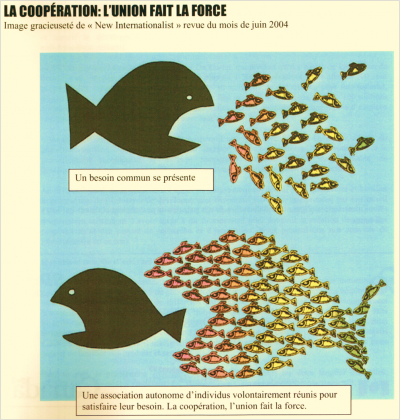 Co-ops can be formed by workers, consumers or even by groups of businesses, organizations or independent entrepreneurs. Co-ops can be for profit, non-profit or registered charities. Co-operatives are particularly well-suited for many creative and cultural purposes, because they are people-centred and anchor the operation in the community. In Ontario, co-ops have been formed to operate galleries and dance schools, provide affordable access to equipment for independent film-makers and to save and operate a local community theatre. In some cases, the co-operative model is ideal for revitalizing and/or re-purposing a traditional business or organization that is facing difficulties. This introductory workshop will provide an overview of how co-operatives are formed, how they operate, and help you determine whether a co-operative approach would be suited to address your needs. REGISTER NOW on the Ontario Co-Ops website via the link in the info box below. 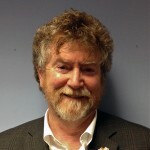 Peter Cameron is the Co-operative Development Manager with the Ontario Co-operative Association. 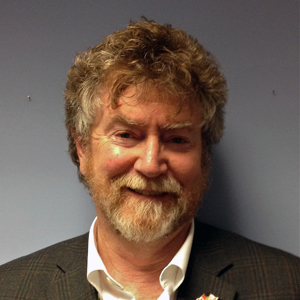 He is responsible for supporting existing co-ops and starting new co-ops by responding to inquiries, co-ordinating technical assistance programs and identifying funding opportunities to expand co-operative development. He works with various government ministries to promote the co-operative business model. Co-ops have always been his passion and he has extensive experience starting and working in co-op businesses. He is a graduate of the Co-operative Management Certificate Program, Schulich School of Business, York University. Related: “Shared Ownership: Co-op Enterprise and Social Entrepreneurship,” a joint initiative of Enterprise Toronto, The Centre for Social Innovation and ON Co-op, presents another three-evening workshop series exploring: 1) how social innovators are using values-driven co-operatives to provide services, create jobs and promote sustainability, 2) what resources and support systems are available for co-op enterprise start-ups and conversions. 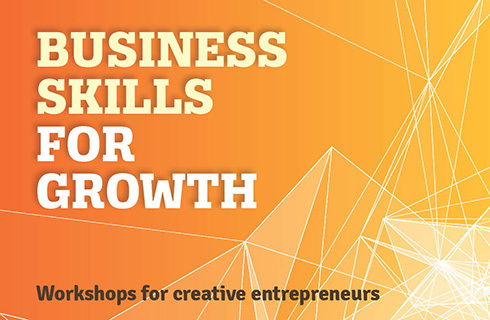 This workshop is part of the Business Skills for Growth workshop series, an Artscape Launchpad initiative, which offers opportunities to develop creative entrepreneurship and business skills for the creative and cultural sector. 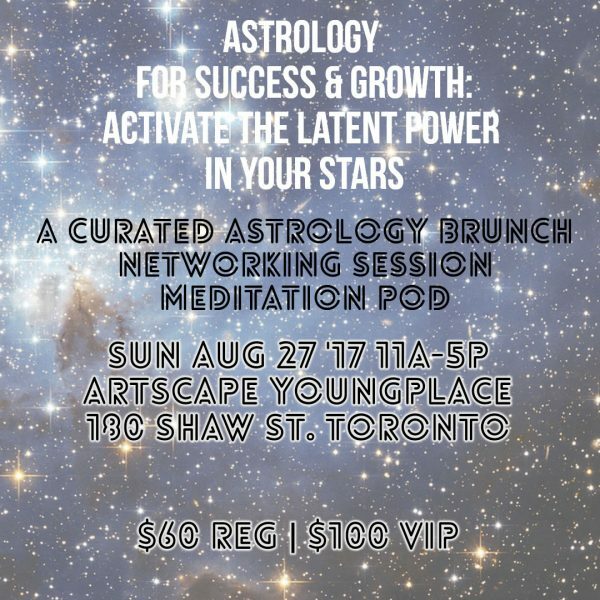 To find out more about Artscape Launchpad and other workshops in the Business Skills for Growth series, click the link above.